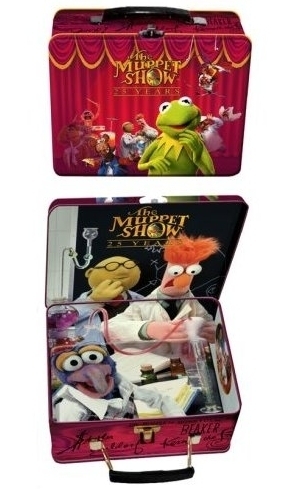 The Muppet onyesha 25th Anniversary Lunch Box. . Wallpaper and background images in the Lunch Boxes club tagged: the muppet show lunch box the muppet show lunch box lunch boxes lunchboxes. This Lunch Boxes photo might contain anime, comic kitabu, manga, cartoon, and mkono.